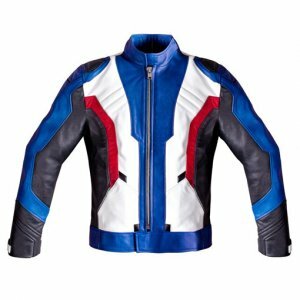 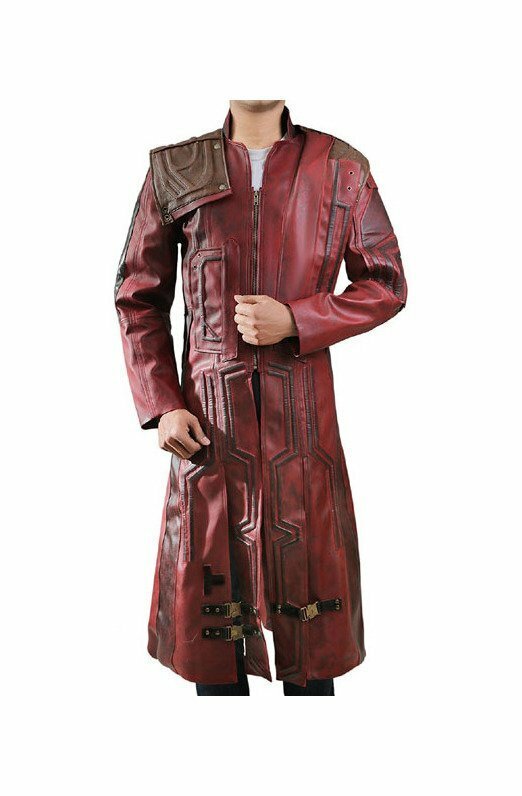 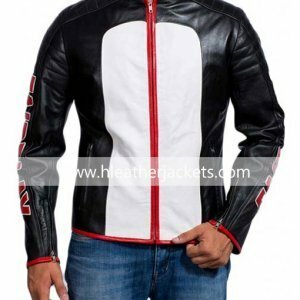 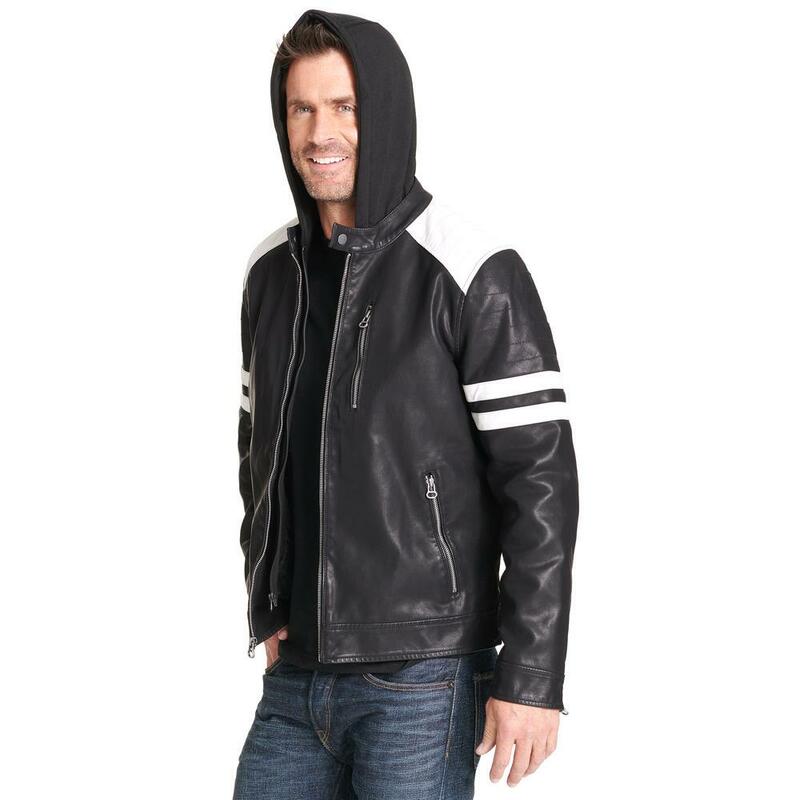 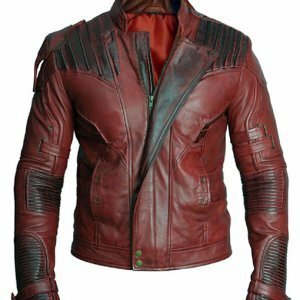 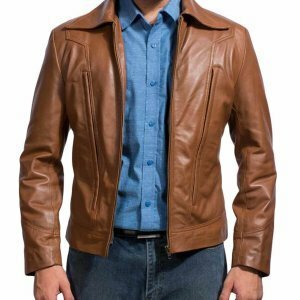 So here we have this lovely Mens Leather Moto Jacket with Storm Collar that is an amazing wear; the outer layer or the shell of the jacket is a composition of polyurethane on the front side and the back layer is of viscose and polyester while the hood or the bib is made of polyester. 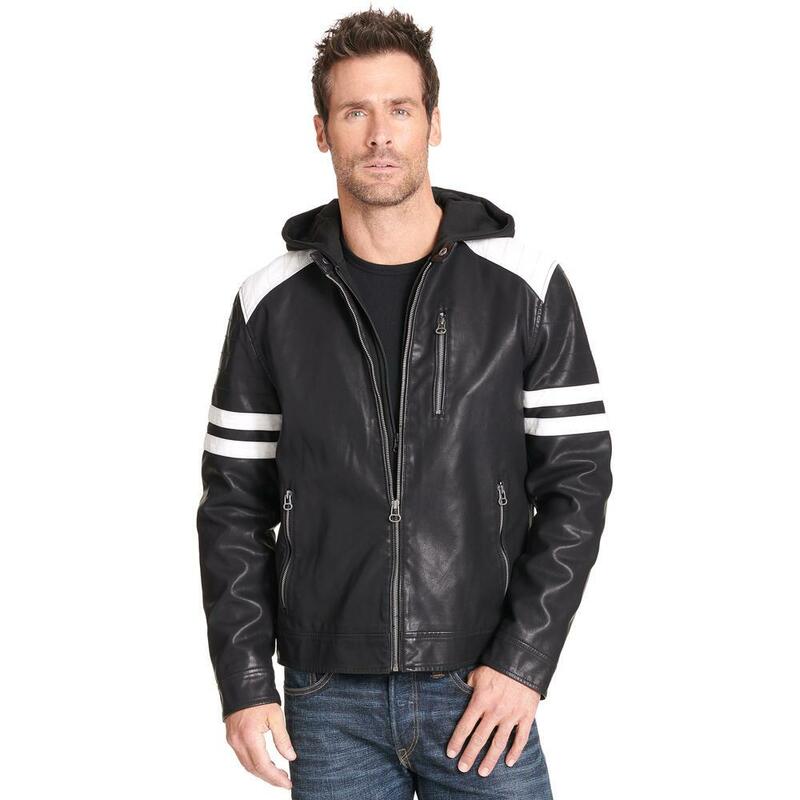 The inner layer of the Mens Moto Jacket with Hood is composed of real/faux leather. 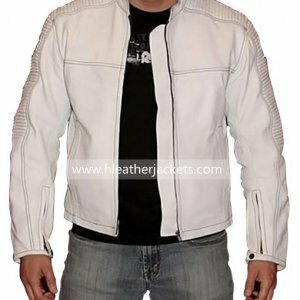 The frontal placket is fully zipped with snap tab collar adding to the smartness there is a detachable hooded bib with a zipper closure. 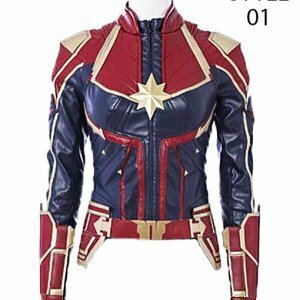 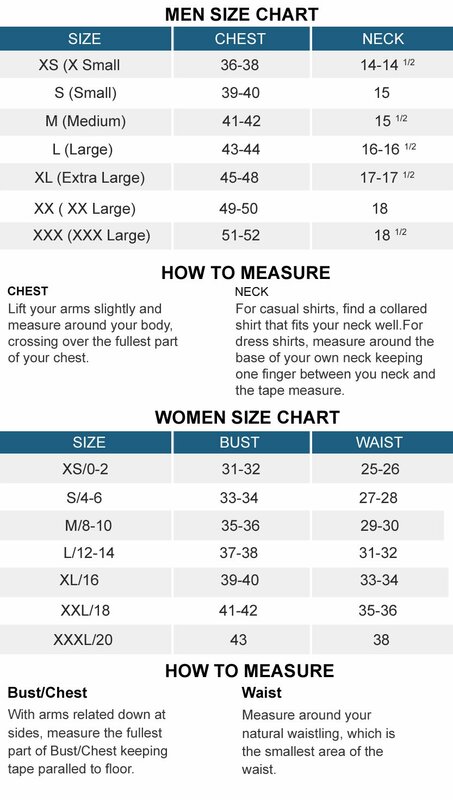 The long full sleeves with Storm Collar has zipper cuffs and two zipper pockets that are hand held and two more are given on the chest. 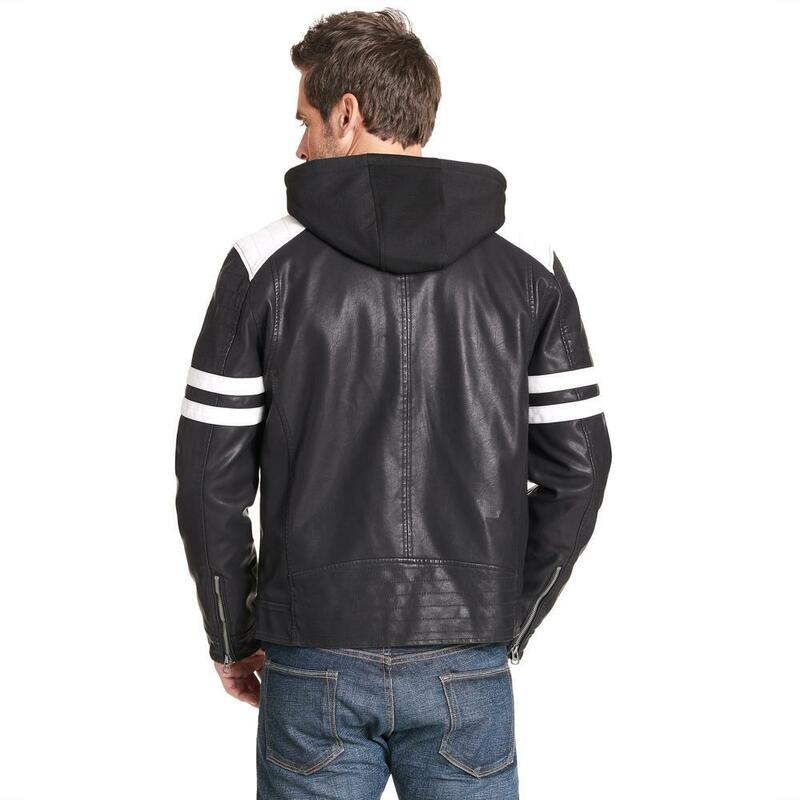 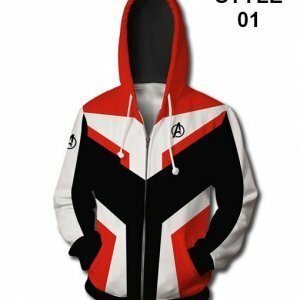 The fine and neat stitching of the jacket speaks for itself; the double contrasting stripes on the upper arm define and enhance the overall appearance of this apparel. 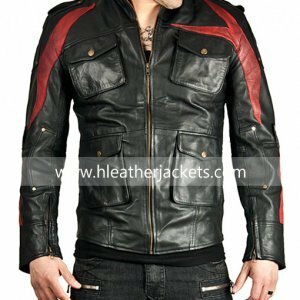 The panels on the shoulder are also of contrast and the details are given with the stitch pattern design.